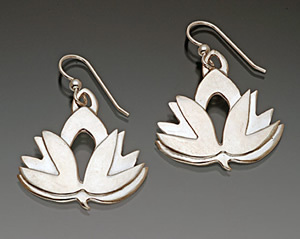 Description: These graceful unfolding lotus earrings are made of sterling silver, and have sterling wires. 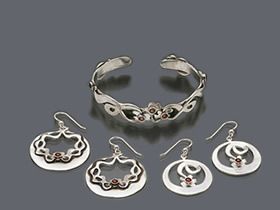 (The earring can also be worn as a pendant.) 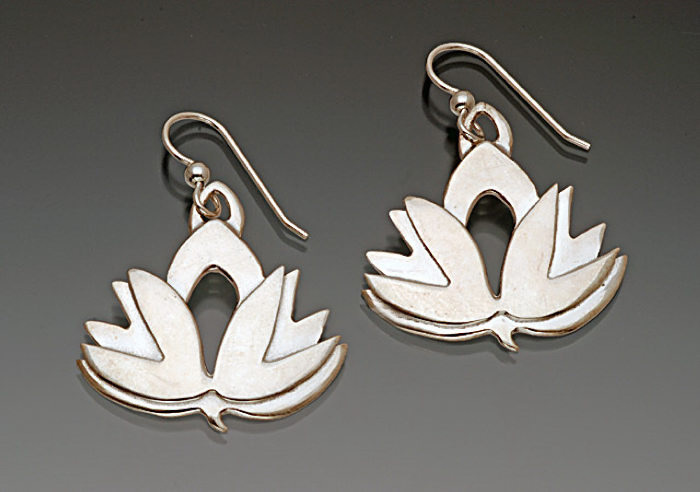 This piece of jewelry comes mounted on a card with an uplifting ''reflection'' printed on the back that reflects the spirit of the design: "Your life will unfold in a new way when you listen to your inner voice."